Are you a 20-something looking for a place to enjoy beer and live music? 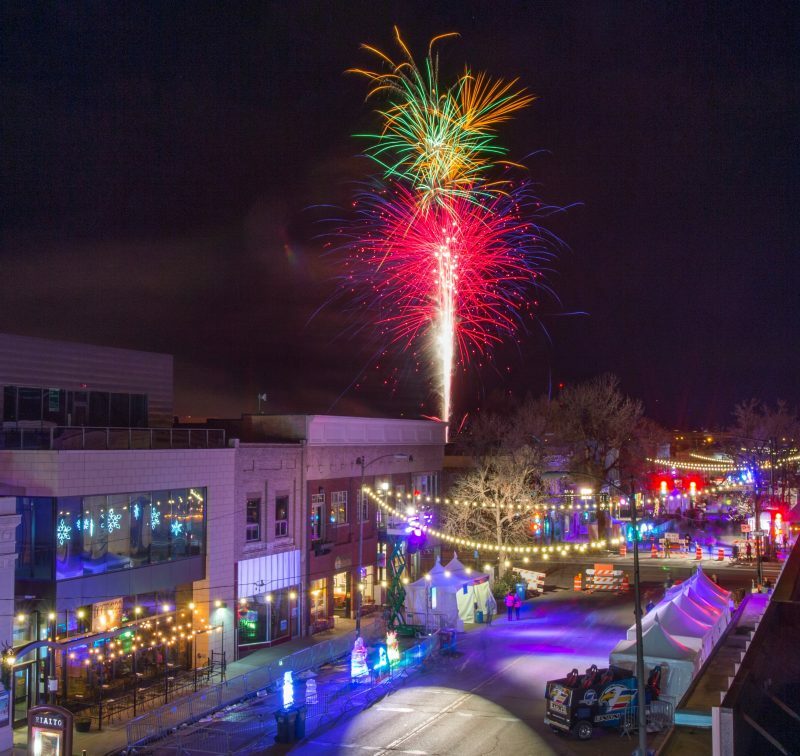 Loveland Fire & Ice Festival has got you covered. Maybe you’re the mother of three active kiddos and are looking for a fun way to keep them and yourself entertained. Loveland Fire & Ice has got you covered too. 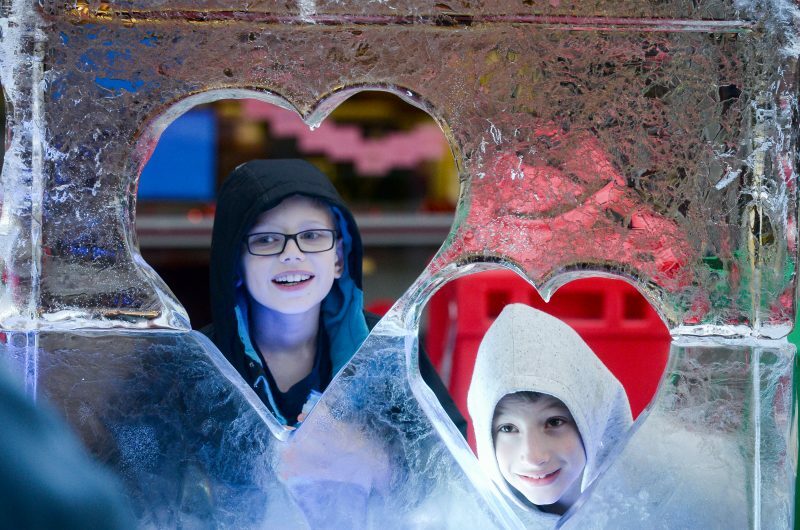 Whether you’re 2 or 92, this Loveland event is the must-attend winter festival of 2018. 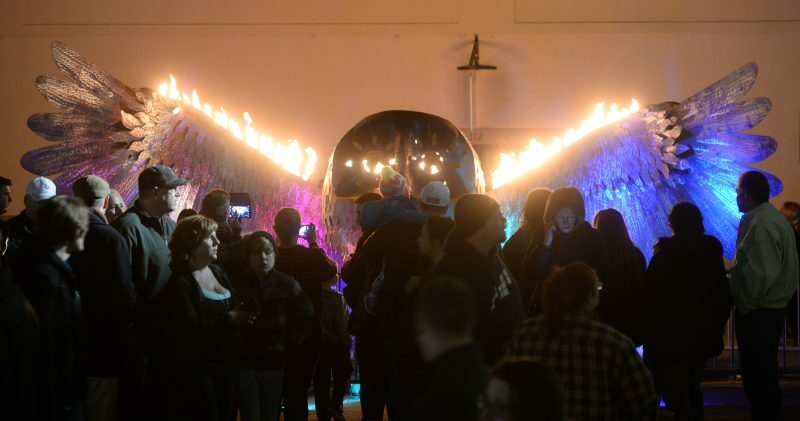 All photos courtesy of Loveland Fire & Ice Festival. There’s is a lot on tap for Loveland Fire & Ice, and I won’t be able to cover it all in this featured festival, however, if you download the festival’s fancy schmancy app, you’ll have everything at your fingertips, literally. The app even has a notification feature so that you don’t have to worry about missing your favorite band or performer during the event. How cool is that? Now I will highlight some of the stuff that I think you should know about Loveland Fire & Ice, but remember, there’s so much more! 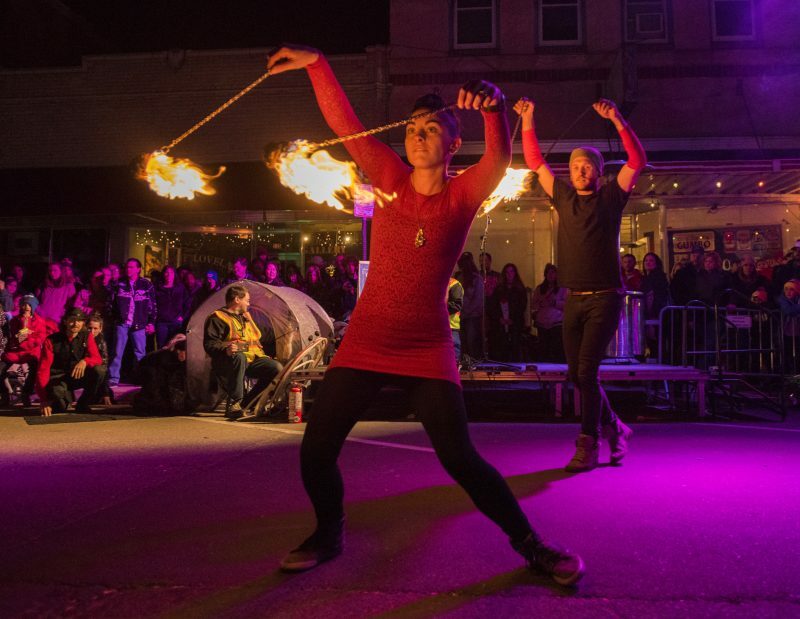 This year, three artists are bringing four sculptures that will make the “fire” theme of this event come alive. At least one of these sculptures has been created specifically for Loveland Fire & Ice and this never-before-seen work of art will be unveiled at the festival. New this year, festivalgoers can vote on their favorite sculpture. Cast your vote using the festival’s app. 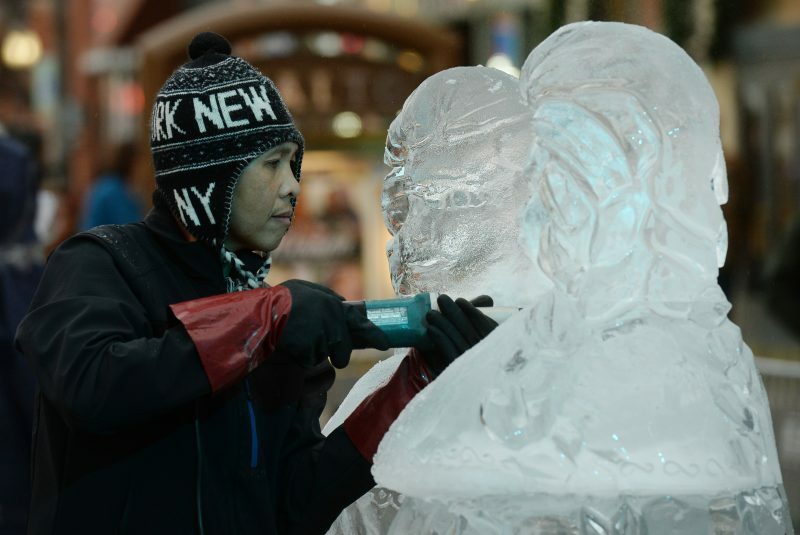 It wouldn’t be Loveland Fire & Ice without the ice sculptors. Don’t forget to vote for your favorite using the festival app. I was very excited when they added this feature to the festival last year. Under the Brewing & Distilling Arts tent, right next to the festival’s food court, you’ll find a variety of adult beverages to try, and this year they’ll be serving up full pours in addition to tastings. 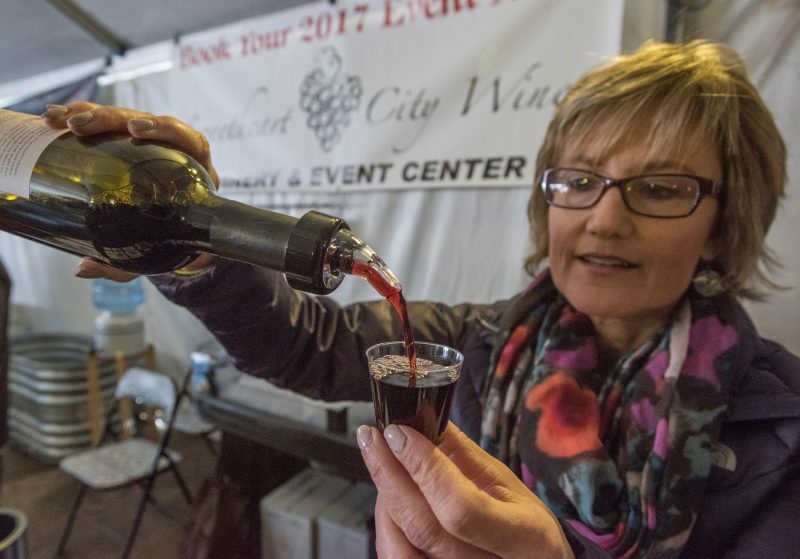 Kathy Burks, co-owner of Sweetheart Winery, pours a red wine at the 2017 Loveland Fire & Ice Festival. This year’s line up includes five breweries serving up 15 different beers. Boulder’s Decadent Saint will also be in attendance serving up their amazing line of premixed cocktail drinks. Loveland’s own Spring44 will provide cocktails using their award-winning spirits and Wheelhouse Canning Co., a Longmont business, will be showcasing their new line of canned premium cocktails. Let’s face it, no one is going thirsty at this fest. Skip the line and buy your tokens for the Brewing & Distilling Arts Event at this page on Eventbrite. There are numerous activities for children at Loveland Fire & Ice including, but a trackless train to ride, a laser tag experience, a 3D thrill ride and more. And don’t forget that there are fireworks every single night of the fest, and what kid (or grown-up) doesn’t love fireworks? This festival features three small stages and one main stage, and you can see the list of bands playing here. However, it’s not just music on stage at Loveland Fire & Ice. Other performers include dance troupes, fire dancers, a fortune teller, a magician and more. 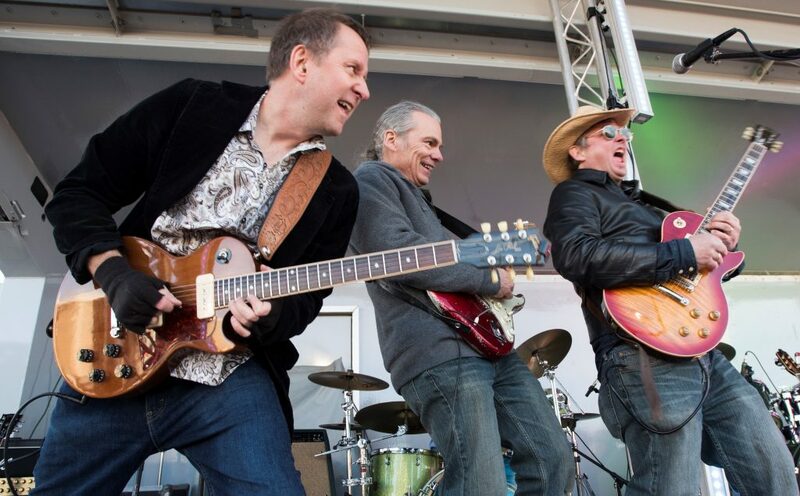 New this year, buskers will wander through the festival performing for the crowds. This Featured Festival is getting long, but I’d like to include something the organizers of this event specifically asked me to write about. The festival has partnered with HEARTSafe, a national program designed to promote survival from sudden out-of-hospital cardiac arrest. If you live locally, stop by their tent and sign up for a free CPR class. Taking this class, that will be held in downtown Loveland in the weeks following the fest, could help you save a life. Friday, 5 p.m. to 10 p.m. | Saturday, 10 a.m. to 10 p.m. | Sunday, 10 a.m. to 8 p.m.